How was your day? Mine was alright for the most part. Any plans for the weekend? Tomorrow I'm supposed to be taking the little one to two craft classes at Michael's tomorrow and then Sunday is the Santa Claus Parade. But it's supposed rain cats and dogs tomorrow and I don't know if I'll even be able to manage standing for four hours at the parade lol. Anyway, let's get to the real reason you're here! 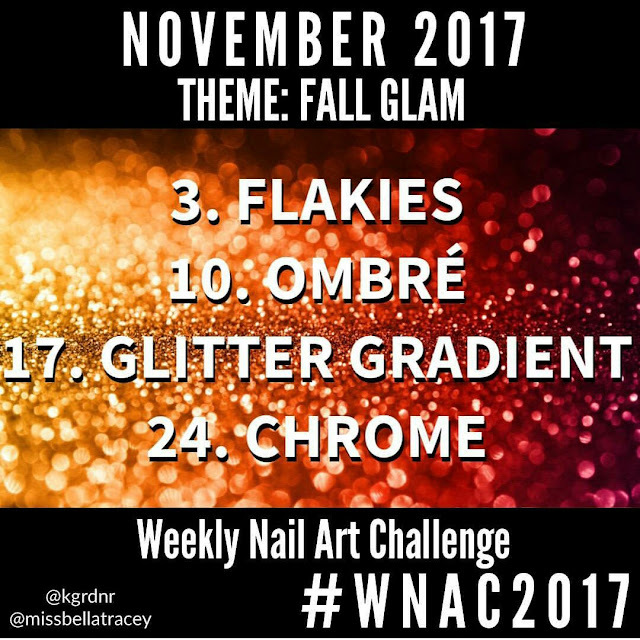 I'll be participating in this months WNAC monthly challenge. And as always lets take a look at the prompts! 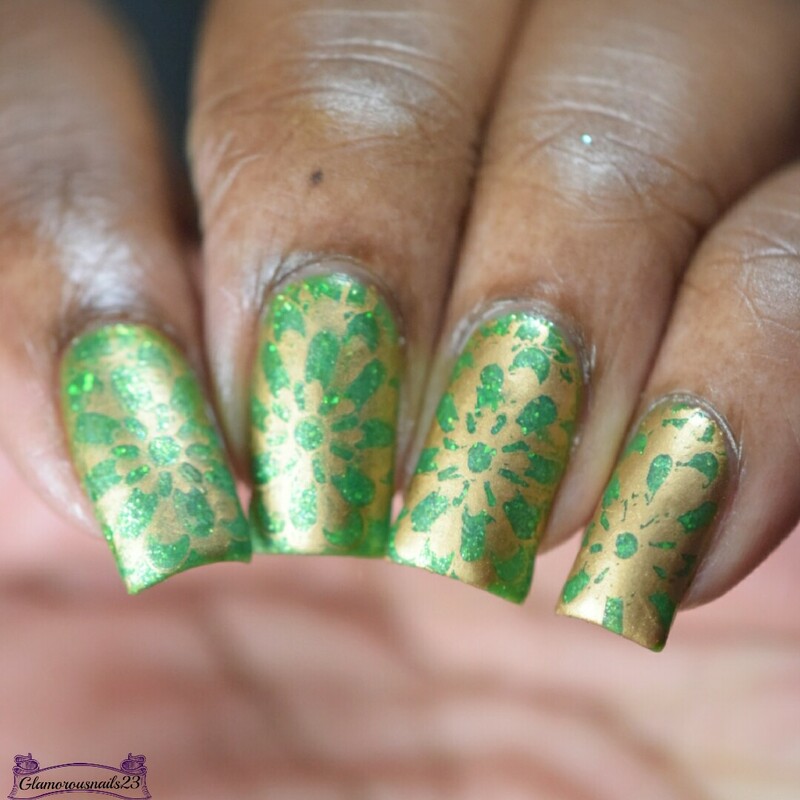 So seeing as the first prompt for this challenge was flakies I decided to use a polish that has some flakies in it and do some stamping over it. 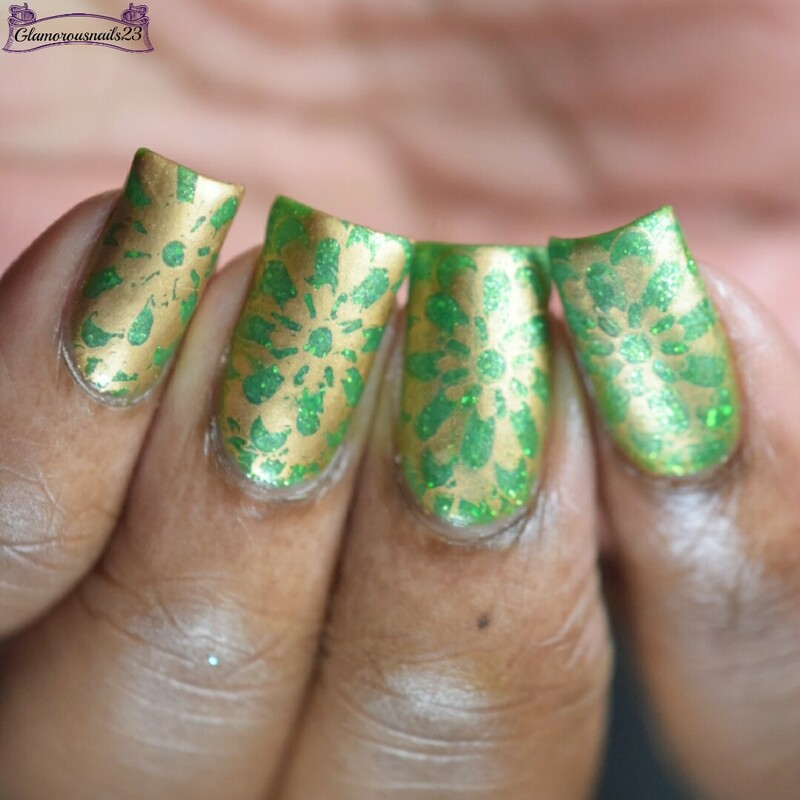 I was really back and forth about if I was going to leave it glossy or matte and opted for matte. 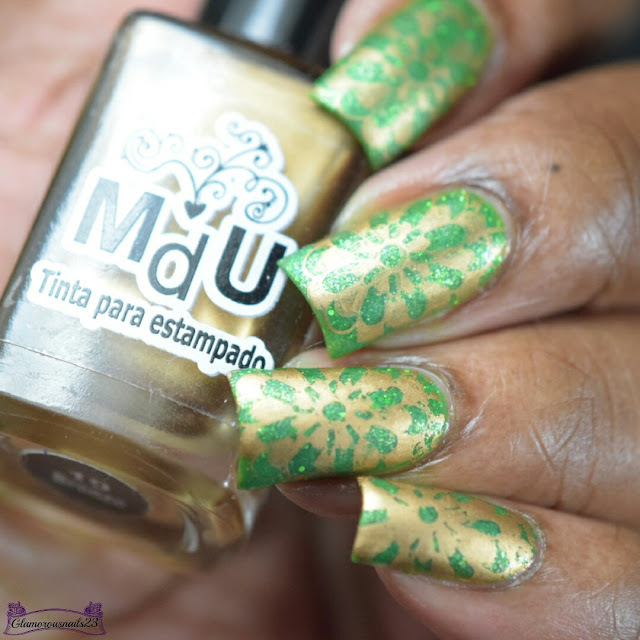 I feel kind of meh about this mani to be honest but such is life!